The ultimate drum sound, anytime and anywhere! Numerous rhythm patterns built into a practical interface! 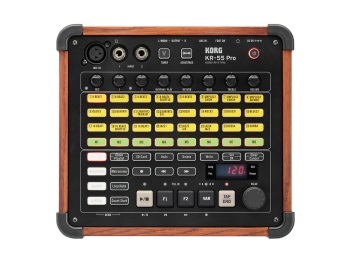 The new KR-55 Pro is a multi-function rhythm machine that’s also equipped with mixer/recorder functionality.